our world has been rocked. 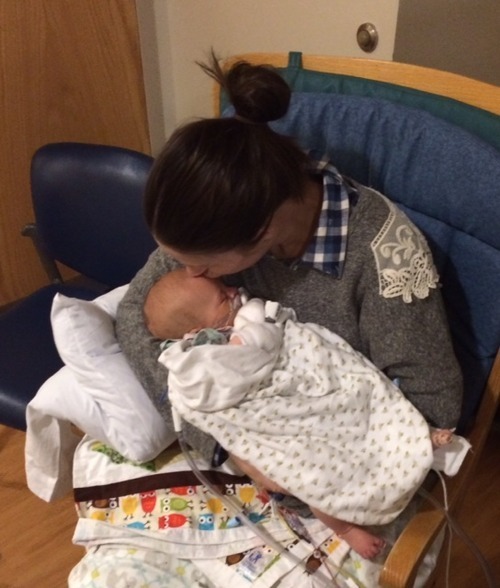 I have spent days debating whether or not to post about what has been going on but after consulting Jordan and thinking through a few things I figure that the more people aware and thinking of our little Bea…..the better. Bea had her 2 month check up on Monday (March 9th) and among many things like “tummy time” and “size of diapers” I also had “tint of yellow in eyes” on my list of crazy mom questions for the pediatrician. Or so I thought it was a crazy mom question. Our pediatrician (who I love) sent us to Children’s Hospital to get some tests done and then we left to enjoy the weather completely naive of the results coming our way. We got a call from our pediatrician Monday night around 8pm telling us the results were worrisome and that the liver specialist at Children’s Hospital wanted us there ASAP. In complete shock we packed the few things we could think of (thinking we would only be there for a few hours) and we left. Fast forward to today. Sunday night, March 15th. So much has gone on that it seems like we have been here forever but at the same time if feels like the last week has gone by in a flash. We have had hundreds of tests done and an ultrasound to finally figure out what is wrong with our sweet Bea. 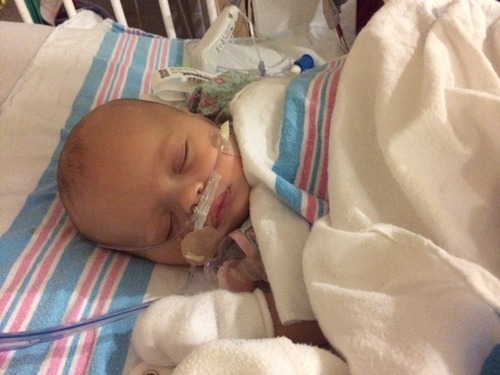 Bea has a very rare liver disease called Biliary Atresia. Basically this means that bile isn’t being drained properly from her liver so it is backing up in her body causing her liver to be diseased. 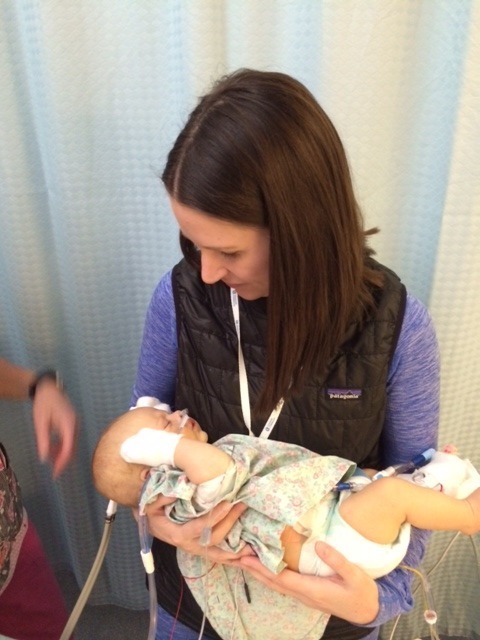 Biliary Atresia affects 300 kids a year in the US. Once they narrowed down all of the options to this final diagnosis, Bea underwent a 6 hour surgery on Friday (March 13th) called a Kasai. A Kasai is when they opened up her stomach and reattached her intestine to her liver in the hopes of draining bile. The tricky thing is, is that we won’t know if the surgery was successful for another 3 months. At that time she will fall into 1 of 3 buckets. Bucket #1: The surgery doesn’t work. She will need a liver transplant sooner rather than later. Bucket #2: The surgery DOES work but only for a few years. At that time, she will need a transplant. Bucket #3: The surgery DOES work but only until she is about 17. At that time, she will need a transplant. 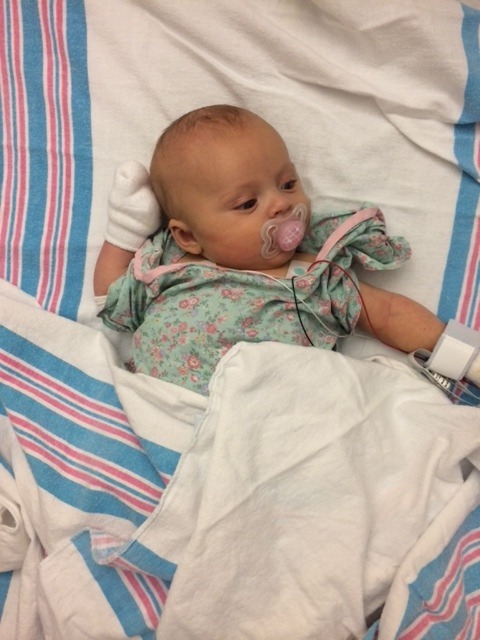 We feel lucky to live so close to one of the top 3 hospitals in the country and are confident with the team of doctors surrounding our precious Bea. She is a fan favorite here at the hospital and the doctors only refer to her as “queen b”. It’s pretty cute. To end this post I want to share a quote that we have up in Bea’s hospital room. One day she finally grasped that unexpected things were always going to happen in life. And with that she realized the only control she had was how she chose to handle them. So she made the decision to survive using courage, humor, and grace. She was the queen of her own life and the choice was hers. Your thoughts and prayers are welcomed and encouraged. This will be a long road for Bea but we are so happy God chose us to help her along it. 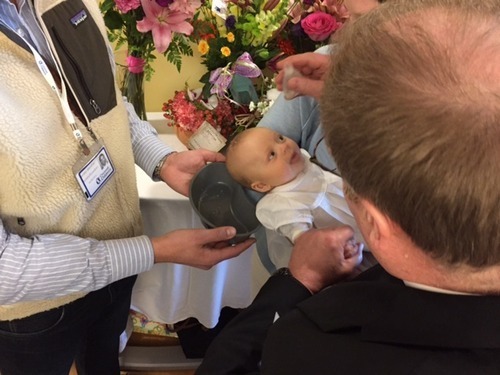 We had our priest from Christ the King come and baptize little Bea and also perform the anointing of the sick the night before her big surgery. Right when she got out….. 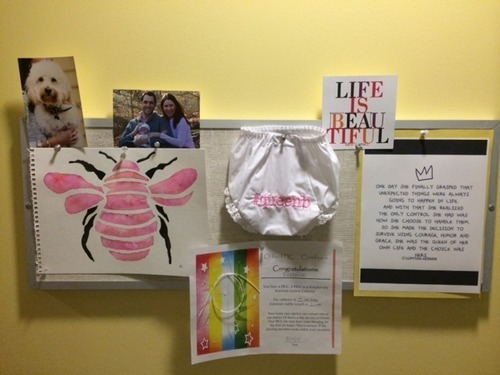 Her bulletin board in her hospital room…..